Byline interviewed Noam Chomsky, to find out his views on the current media landscape. 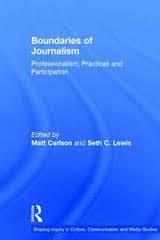 Are the media still “manufacturing consent”? Three decades ago, Professor Noam Chomsky, who is seen by some as the most brilliant and courageous intellectual alive and by others as an anti-US conspiracy theorist, penned his powerful critique of the Western corporate media in his seminal book Manufacturing Consent, with co-author Edward S Herman. The book had a profound impact on my perception of the mainstream media in my teenage years, and was crucial in some ways to my decision to start Byline with my co-founder Daniel Tudor. By cutting out the advertiser and political bias of the proprietor, we believed that crowdfunding had the potential to democratise the media landscape and support independent journalism. In “Manufacturing Consent,” Noam Chomsky posits that Western corporate media is structurally bound to “manufacture consent” in the interests of dominant, elite groups in society. With “filters” which determine what gets to become ‘news’ – including media ownership, advertising, and “flak”, he shows how propaganda can pervade the “free” media in an ostensibly democratic Western society through self-censorship. However, lot has changed since then. We now have the Internet. The so-called legacy media organisations which have been “manufacturing consent” according to Chomsky are in massive financial trouble. Has any of his analysis changed? I recently interviewed Noam Chomsky at his MIT office, to find out his views on the current media landscape. One-Dimensional Man was published just half a century ago, catapulting a rather obscure professor in his sixties to international fame. 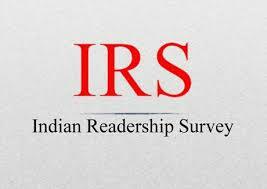 “The IRS (Indian Readership Survey) not being stable is a matter of concern, but we need to move on. TV and digital dominate our mindspace and ad spends now,” says Ronita Mitra, senior manager, brand communication and insights, Vodafone India. Lloyd Mathias is head of marketing for printers and PCs at Hewlett-Packard India. His division spends more on print than any other media. “The lack of IRS has forced us to look closely at media that is better measured,” he says. Earlier this year, when IRS 2014 was released, publishers began their usual fight over the numbers. The Times of India and others have been publishing large notices ridiculing the IRS – which is released by the Media Research Users Council, or MRUC, a body of publishers, advertisers and agencies. “Unless there are some fundamental checks, we don’t want to be part of it,” says Rahul Kansal, executive president, Bennett, Coleman and Company, which publishes The Times of India. Some publications, including The Hindu, Dainik Jagran and Dainik Bhaskar, have withdrawn from the survey. Others such as Malayala Manorama have refused to pay their subscription. They are demanding lower fees, tamper-proof data, better validation and a larger sample size. Last week the MRUC board accepted some demands. The sample size for IRS 2015 will go up to 300,000 from 235,000, and there will be a concurrent audit by one of the big five consulting firms, says Shashi Sinha, an MRUC board member. MRUC did not respond to e-mailed queries. While walking to work one day, I saw an advertisement for CNBC-TV18 proclaiming, “We have stood for Indian business news. We stand for an India that means business.” With the Reliance takeoverand editorial tutoring of CNN and CNBC affiliate news channels, that double-edged statement acquires an amusing and disquieting connotation. Has India been reduced to news favouring big business? What is the government doing about it?